Salt Lake City is home to a new band that’s been hitting Twilite Lounge with the sweet-sounding auto-harp. Leena Rinne, drummer for the Purr Bats, started local-project Strummy Coo Coo with her musically talented husband, David Payne. Playing the auto-harp is merely one of Rinne’s many skills. Strummy Coo Coo boast a dreamy quality that is reminiscent of soft folk bands like The Swell Season. 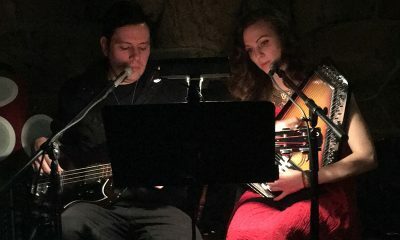 The auto-harp brings a music-box sound to the band, adding to their dreamlike feel. Check Strummy Coo Coo out at Twilite Lounge on Wednesday evenings, after 9 p.m.